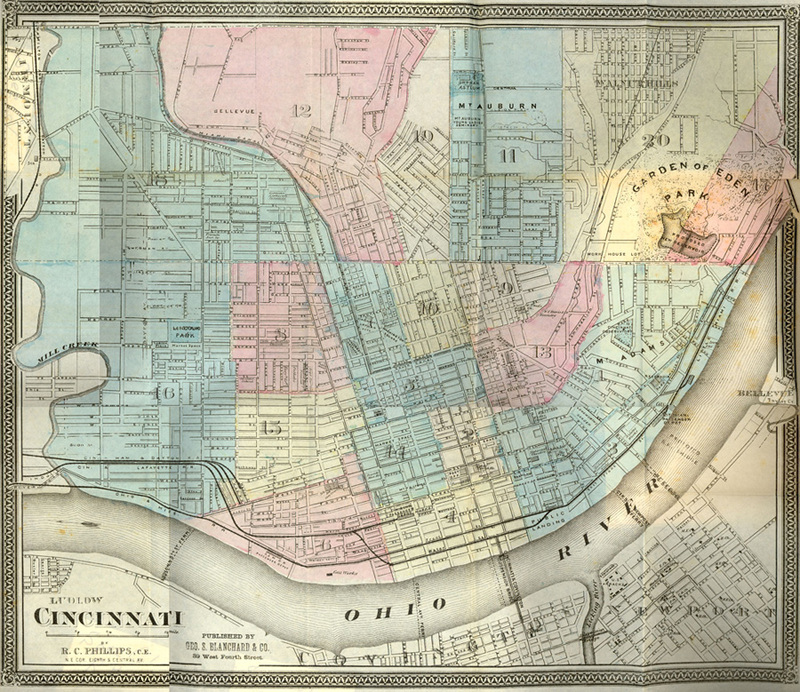 The Archives & Rare Books Library has digitized some historical Cincinnati maps dating from 1802 – 1929 and has made them available for research on our website. The maps are all located in materials from our Rare Books Collection and are scanned at a high resolution to provide detail for researchers. The maps provide both geographical and social information about the City of Cincinnati through the years. Several of the maps included keys or labels indicating buildings and landmarks and can show trends in public services and the development of particular communities. Also included on the map page is a bibliography of additional resources available in our collections that include maps of Cincinnati. These and originals of the digitized images can be used in the Archives & Rare Books Library located on the eighth floor of Blegen Library. More maps may be digitized and added as they are located.